CANTON, Mass. 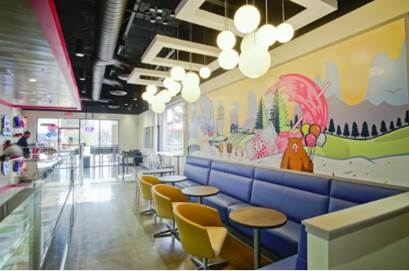 (November 28, 2018) – Baskin-Robbins, the world’s largest chain of specialty ice cream shops, today unveiled its “Moments” concept store design which will give guests an entirely new and engaging experience when they visit Baskin-Robbins. The new store concept debuted today in Fresno, California and will initiate a national rollout beginning in 2019. The new store concept is designed to deliver on Baskin-Robbins’ commitment to bringing guests great flavors and memorable moments. 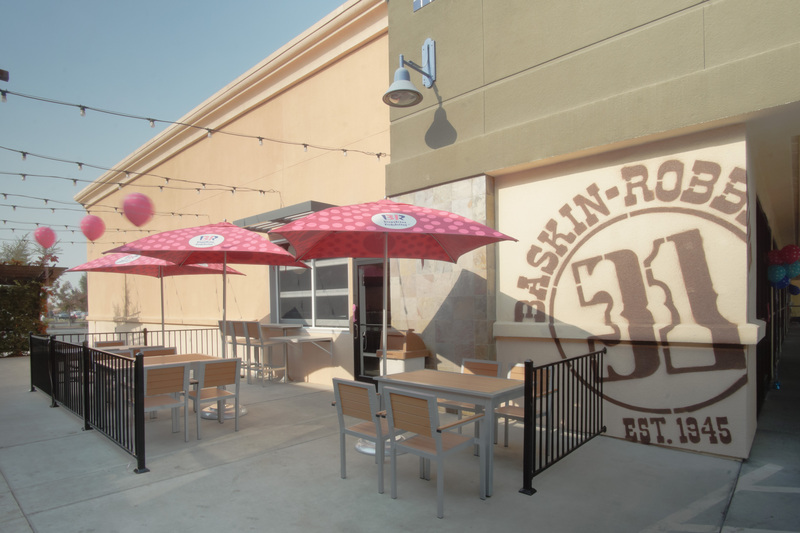 The new store in Fresno will offer the first look at the brand’s U.S. store of the future, with a new and modernized atmosphere that is designed to make it easy to connect with people over ice cream and create simple moments with family and friends that matter. 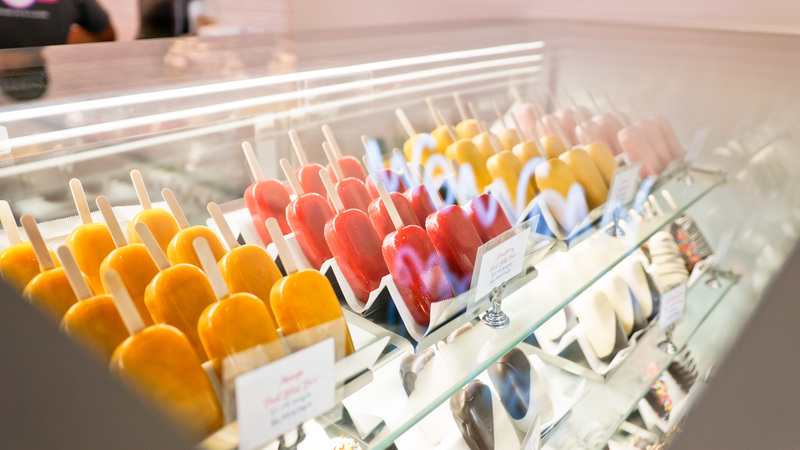 As part of its “Moments” store design, Baskin-Robbins will be introducing a new product platform called “ice cream novelties” featuring premium, hand-dipped and snackable frozen treats to give guests more variety when choosing a sweet treat. The new novelties collection will be available at select Baskin-Robbins locations in the upcoming months. New ice cream dipping cabinets: An expanded row of modern and sleek glass cases prominently display premium ice cream flavors, ice cream cakes and a new “novelties” collection. A modernized menu: A new product platform called “ice cream novelties” features premium, hand-dipped and snackable frozen treats, including chocolate-dipped bananas, Polar Pizza slices, Ice Cream Bars and Smoothie Bars and indulgent, hand-dipped fancy waffle cones. An expanded toppings station also gives guests more variety and options for customization when choosing a sweet treat. Baskin-Robbins worked closely with WD Partners, an Ohio-based customer experience and branding agency, to bring the new “Moments” store design to life. 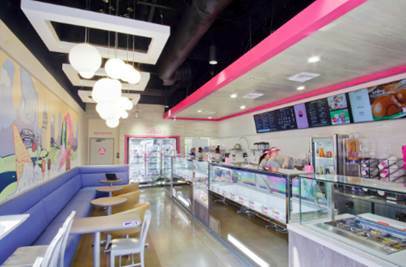 From the initial concept to development, WD played an integral role in ensuring that the next generation store design would deliver on Baskin-Robbins’ vision to give guests an entirely new and innovative experience. Named a top ice cream and frozen dessert franchise in the United States by Entrepreneur magazine's 38th annual Franchise 500® ranking in 2017, Baskin-Robbins is the world's largest chain of ice cream specialty shops. Baskin-Robbins creates and markets innovative, premium hard scoop ice cream, a full range of beverages, and a delicious lineup of desserts including custom ice cream cakes, the Polar Pizza® Ice Cream Treat and take-home ice cream quarts and pints, providing quality and value to consumers at more than 8,000 retail shops in 55 countries worldwide. Baskin-Robbins was founded in 1945 by two ice cream enthusiasts whose passion led to the creation of more than 1,300 ice cream flavors and a wide variety of delicious treats. Headquartered in Canton, Mass., Baskin-Robbins is part of the Dunkin' Brands Group, Inc. (Nasdaq: DNKN) family of companies. For more information, visit www.BaskinRobbins.com.